The assembly of our raised garden beds is relatively simple and requires only a ½ inch wrench to put together. If you do run into any complications, our instruction manual will address any lingering questions you may have. 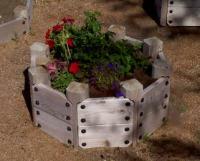 Our handbook features raised cedar garden bed design layouts, as well. After seeing a few raised cedar garden bed plans and layouts, you will have numerous ideas that will help you arrange them in a pleasing aesthetic. The diagrams in this manual include measurements for scale and numerous suggestions as to additions you can make to your outdoor arrangement of garden beds. 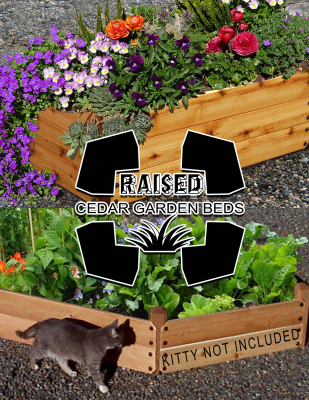 Consider this your resource for raised cedar garden bed designs, plans, layouts, and any other questions you may have about your new raised cedar garden beds! Contact us with any questions. Click on the cover above to see amazing garden layouts and instructions.